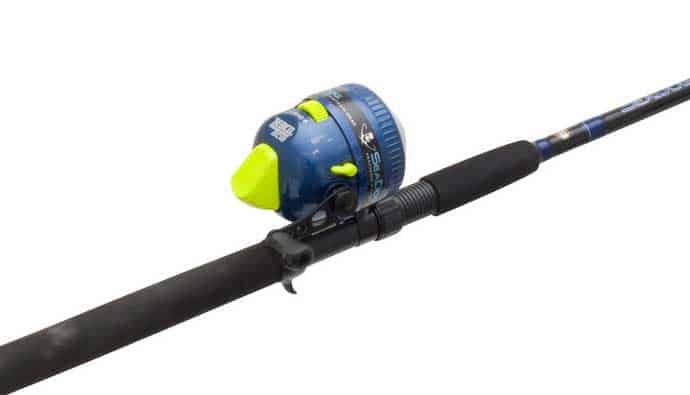 1 What Is a Spincast Reel and What Kind of Rod Do You Need? Spincast reels aren’t just for children! They are serious reels and are some of the fastest on the market. It’s time for your bait to scream and get the attention of fish far and wide! Spincast reels were first introduced by ZEBCO in 1949. They were an attempt to end the issue of backlash in baitcasting reels and twisted line in conventional reels. Kids love using spincast reels to learn how to fish! With a spincast reel, the line is thrown from a fixed spool and can be used with light lures and baits. 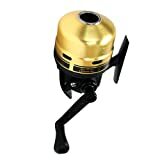 The risk of backlash is much lower than with a baitcaster, this makes spincasting reels more “user-friendly”. The inner mechanisms of a spincasting reel are enclosed in a “nose cone” to protect the fixed spool. Spincasting reels make a good beginner reel for children and inexperienced anglers. They are easy to use and do not have a high risk of tangles. In this article I am going to cover several of the best spincast reels, how they work, the best time to use them, and much more. What Is a Spincast Reel and What Kind of Rod Do You Need? A spincast reel, also known as a “spinner” or “Pushbutton.” It’s a fixed spool reel with the spool and inner mechanisms enclosed in a nose cone with an eye for the line to travel through. Spincast reels have a pin on the top of the spool that is retracted when the thumb trigger is pressed. This allows the line to flow through the eye when casting. When the reel handle is turned it engages the pin to pop-up and guides the line around the spool as the handle is turned and the line retrieved. They type of rod you need will depend on the type of fish you will be going after. Most spincast reels come with a matched rod. Most anglers prefer a six-foot rod with good sensitivity, for controlling a variety of baits. Speed reeling can be very beneficial when bass fishing using jerkbaits. With aggressive bass, it is important to cover as much water as possible. A fast retrieval will usually produce a better strike. Bass will chase, strike and hook themselves before they know what has happened. Zebco is one of the first names to come to mind when thinking of spincasting reels. And so, Zebco was the first to invent the spincaster to solve the problem of backlash and tangles. Most anglers are familiar with the Zebco 33 spincasting reel but are unaware of where the “33” comes from. When Zebco celebrated their 33rd anniversary the Zebco 33 was introduced to celebrate. Since that time, it has been used by many anglers with great results, that it still produces today. 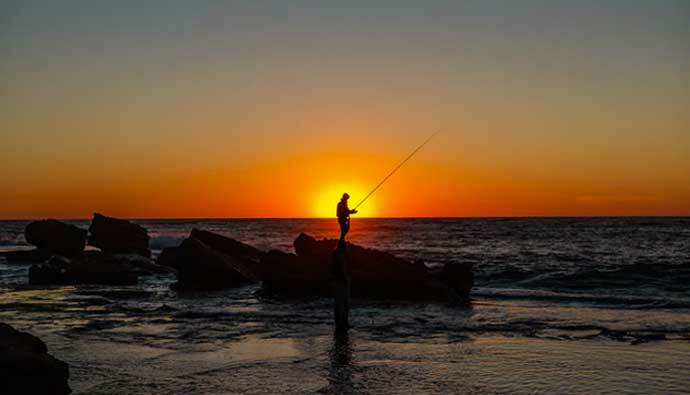 Zebco fishing gear can be found in about every retail store that sells fishing equipment. 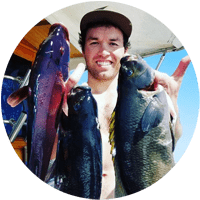 With a large variety of choices, Zebco is still one of the most popular and most recognizable fishing gear manufacturers in the world. Spinning reels feature a spool that sits parallel to the main axis of the rod. They are designed to hang beneath the rod when in use, unlike most other reels which are designed to rest on top of the rod during use. The line wraps around the spool and passes over a small wheel called the power roller before continuing up through the rod guides. A metal arm called the bail keeps the line in place and ensures that it passes over the power roller. Spincast reels are more commonly used in freshwater but can be used in saltwater if you take care of them after each use. 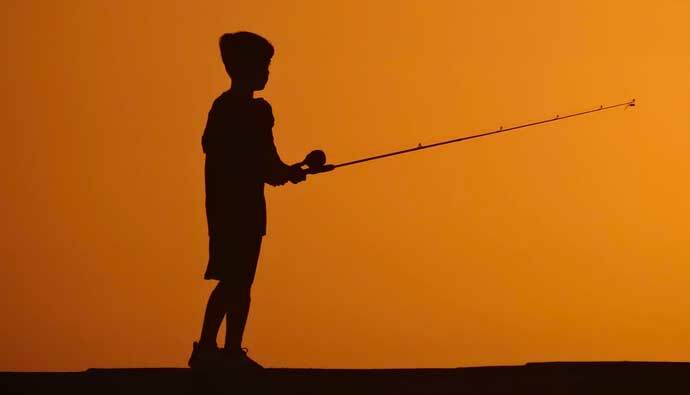 To cast with a spinning reel, you must first move the bail arm into the up position this is often called “opening the bail”. This frees the line and allows it to unspool (the spool of a spinning reel does not spin during casting). You need to keep the line tight by pulling the line with your first finger while you prepare to cast. Maintain the pressure on the line during your backswing and only release it at the very end of your casting motion. 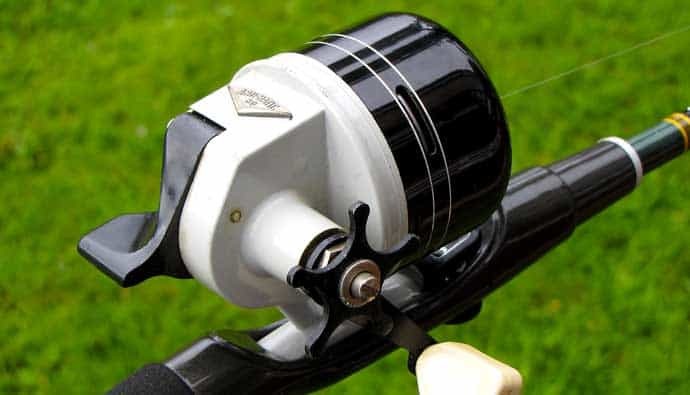 You can usually adjust the drag the amount of resistance the reel applies to the line of a spinning reel via a dial on the front of the spool. Spinning reels are usually used by more experienced anglers or for fishing for much larger fish. Like spinning reels, spincast reels feature a spool that is parallel to the rod axis. Also, they do not rotate during the cast. Instead, the line simply unspools as the weight of the lure pulls it free. But, unlike spinning reels which must the angler to hold the line in place during the cast, spincast reels are easier to use. When it is time to cast, a button on the reel is pressed which allows the line to unspool. Because the line is covered by a plastic or metal housing, spincast reels do not become tangled as spinning reels do. This means that you’re going to experience fewer technical problems when using a spincast reel. This is part of the reason why spincast reels are often the best option for children and beginning anglers of all ages. To put the line through a spincast “closed face” reel, start the end of your line through the eye of the nose cap backward attach your line through the spool. Close the nose cap and reel the line, checking the amount of line on the spool by removing the nose cap and looking at the spool. Once you have the desired amount of line, cut the line and press the “button” to release the line, thread it through the eyelets on the rod. To cast with an open face reel, you must first move the bail arm into the up position this is often called “opening the bail”. To string an open face reel, run the new line through each of the rod guides, taking care to make sure the line is centered in each guide. Affix the line to the reel spool. Run 7 to 8 inches of monofilament line around the reel spool and then reverse direction so that a loop is formed next to the doubled line. Close the bail and turn the reel handle and make sure the line wraps around the spool. The new line must slip off the spool in the opposite direction that the bail spins. If the bail spins clockwise, the new line must slip off the spool in a counterclockwise direction. Set the new spool of line on the floor and turn the reel’s handle a few times to determine the new line’s direction. If it is not counterclockwise, flip the spool over to the other side to reverse direction. Hold the line with your thumb and forefinger and apply pressure to the line so it seats on the spool. Reel until the spool is filled with the desired amount of line. An open face reel spool does not spin when casting. You must release the bail located at the top of the reel by flipping it up to cast. Once you have made your cast, when you reel the handle this will flip the bail back in place and begin to retrieve the line. 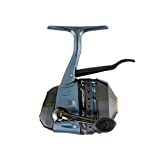 The Pflueger President Spincast Fishing Reel offers high quality with affordable prices. 5 Bearing System – Corrosion resistant stainless steel ball bearings for smooth retrieval and better lure control. Aluminum Frame – Ensures precise gear alignment. Aluminum Cone – Plunger’s highest quality machined aluminum front cone design. Dual Titanium Pins – Easier line pick-up with high-grade wear-resistant materials. Instant anti-reverse – One-way clutch ball bearing for instant hook-sets. Spinning action is very smooth. Reels easy and allows for a good hook set. Lightweight makes it comfortable for all day use. Crank handle can come off. Can fail to lock after casting. The reel will not fit some rods. The line that comes on the reel is weak. Changeable Right or Left Hand Retrieve. New for 2017, Zebco, the most recognized brand in fishing, introduces the fastest version ever of the tangle free reel they made famous. Named bullet – it’s faster than all spin cast reels, and even faster than 6.1:1 baitcasting reels and a size 20 spinning reel. Geared at 5.1:1, bullet picks up an unprecedented 29 inch of line with each revolution of the handle. The handle that’s padded with unique-feeling new gripe all-weather handle knobs. Retrieves fast with no problems. Has a problem with locking up. Problem with it being to heavy. With a 3.6:1 retrieve Ratio with ball-bearing drive and Quick Set Anti-Reverse. The Zebco/Quantum 33562PML makes hook sets more secure and retrieval smoother. The lightweight graphite frame with metal handle and rubber knobs make the Zebco/Quantum 33562PML more comfortable for all day use. Changeable right or left-hand retrieve makes this spincaster a good choice for right or left-handed anglers. Spooled with 100-yards of 10-lb Cajun Line 5-ft 6-in, two-piece, medium-light action Z-Glass rod with a pistol grip. This means the Zebco/Quantum 33562PML comes ready to fish. Works well for larger fish. Can get stuck during casting. Line that comes with reel is poor quality. Can come with damaged rod. An old-school design that’s been updated for the new millennium. The Daiwa Goldcast has been a favorite of anglers young and old for years. Comes pre-wound with premium line. Casts smooth over a long distance. Has a very good drag. Holds up well over a long time. Holds up well to larger fish. Can be rough on retrieval. Heavier than most equal reel types. Does not work well with heavier baits. The Zebco Omega Pro Spincast Reel is smooth and powerful, with an advanced, all-stainless steel 7-bearing system. Die-cast aluminum body with aircraft aluminum covers. Adaptable to right or left-hand retrieve. Quick-change spool system with a free spare spool for fast line switching. Pro models are equipped with power and speed handles to give you maximum leverage with hard-pulling lures and heavy fish. Water and dust can get inside. The handle can come loose. The line is poor quality. The lights get brighter and the batteries last longer on the Zebco patented Bite alert system. 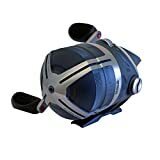 It provides both visual and audio indications when a fish begins to tug the line from the reel spool. Bite alert has always had a loyal following among serious-minded users of 808 spincast. But, the batteries often fell short on longevity. Now it’s improved because there is only one battery instead of two, and it lasts much longer. Plus, the light is now green instead of Red, making it more visible to anglers that often chase catfish at night. Zebco has also worked hard to improve the performance and ease of use of the strike sensitivity change. 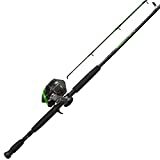 This 808 spincast combo features a 7′ medium-heavy action rod with a high-vis green tip. Can lock up after a short amount of time. Several parts of the mechanism are plastic. Anti-reverse can break after limited use. Can become “rough’ to reel after a short amount of time. Spincast reels are one of the easiest fishing reels to use. They are very beginner friendly and hold up well to heavy use. For saltwater, the Zebco saltwater reel is a good choice, while the Zebco 33 and Zebco 404 are common in freshwater. There are many different types of reels on the market but the spincast reel offers ease of use, reliability, and durability that can not be beaten. 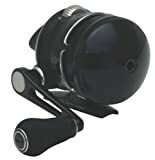 Out of the spincast reels we have covered the Zebco / Quantum 808HSF702MH, 20, NS3, 808 Series Spincast Combo, Saltfisher, 7′ Length 2 Piece, Medium Action gets the high mark because of its ability to fish saltwater and freshwater without the worry of corrosion. Q: What is a spincast reel? A: Spincast reels cut backlash “birdnest” tangles because the spool on which the line is wound doesn’t move. As the rod is cast, the line is pulled off the fixed spool through a hole in the front of the reel by the weight of the lure. Q: What is the best spincast reel? A: Zebco 33 because of the reliability and ease of use. Q: What is the best Zebco reel?